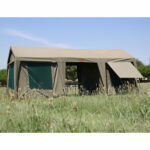 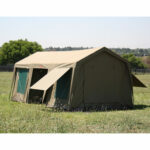 18ft X 10Ft Gazebo plus two 9ft X6Ft chalet tents with entrances facing each other across a 6ft opening. 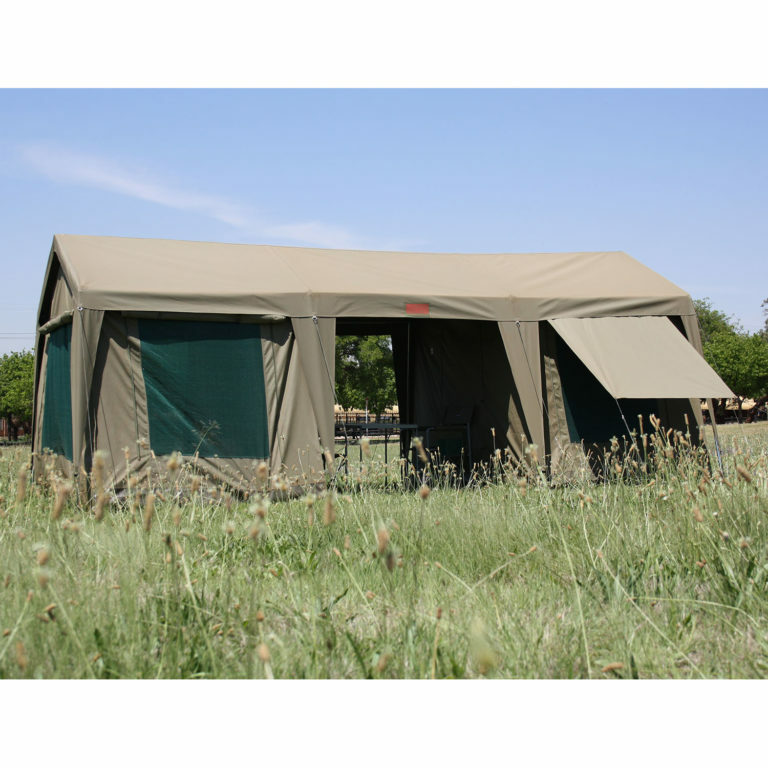 Sleep six to eight people comfortably in the Hippo Solution, a great accommodation solution for parents wanting a little privacy from the kids or a group of friends camping in the great outdoors. 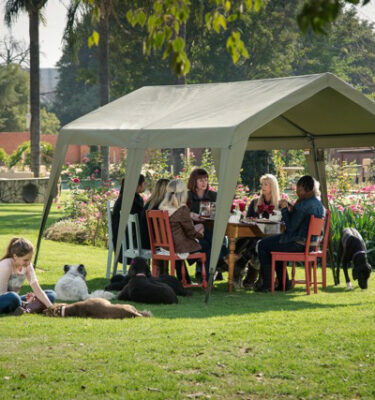 Not only does it consist of two chalet tents linked together by a frame, the quick clip system enables an easy and rapid set up allowing you to get to more important matters, like preparing dinner. 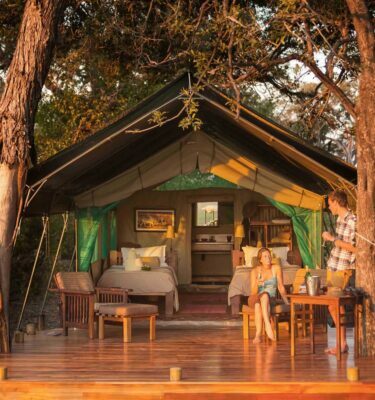 The modular design allows you to adjust between cabins or having a large open gazebo. 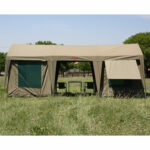 You can also easily fit our mesh diner in between the chalets or in place of one of the chalets. 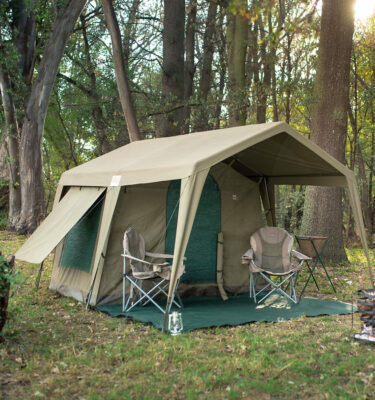 Includes built in PVC floor with six inch side walls to protect against flooding and a double full zipper entrance both in the front and back, allowing you to walk through or to fold up the sides.